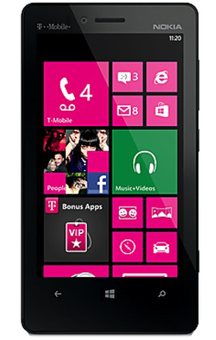 The Nokia Lumia 820 will be equipped with a 4.3 inch clear black AMOLED display with WVGA resolution, and a pixel density of 217ppi. Under the hood will be the dual-core 1.5GHz processor with 1GB of RAM and 8GB of native storage. An 8MP camera on back features Carl Zeiss lens and dual flash. It also captures video in 1080p at 30fps. A new 1.2MP Skype HD certified front-facing camera allows for high quality video chat. 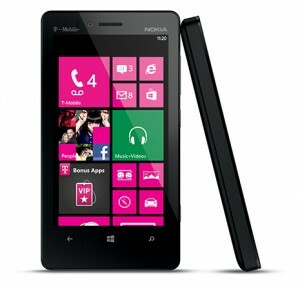 The 1650mAh battery is said to yield 14 hours of talk time on the Nokia Lumia 820 and it might offer a bit longer with the Nokia Lumia 810 since the LTE connectivity is replaced with the less battery intensive HSPA+ 4G service. 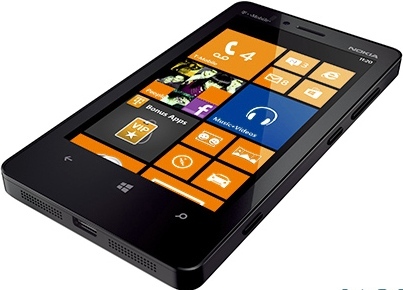 Windows Phone 8 is installed out of the box and wireless charging is being offered as an option to buyers.